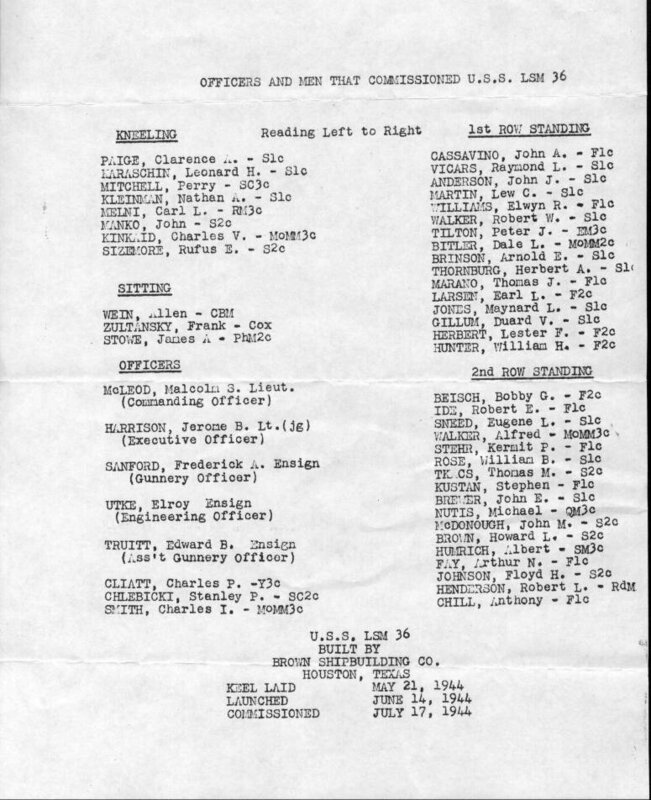 Laid down, 21 May 1944, at Brown Shipbuilding Co., Houston, TX. 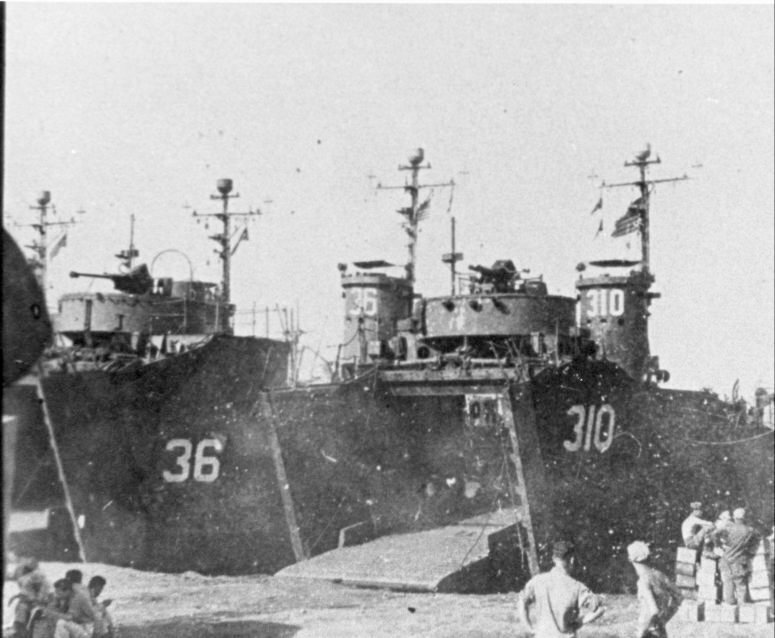 Visayan Island landings, Lubang, 1 March 1945 . 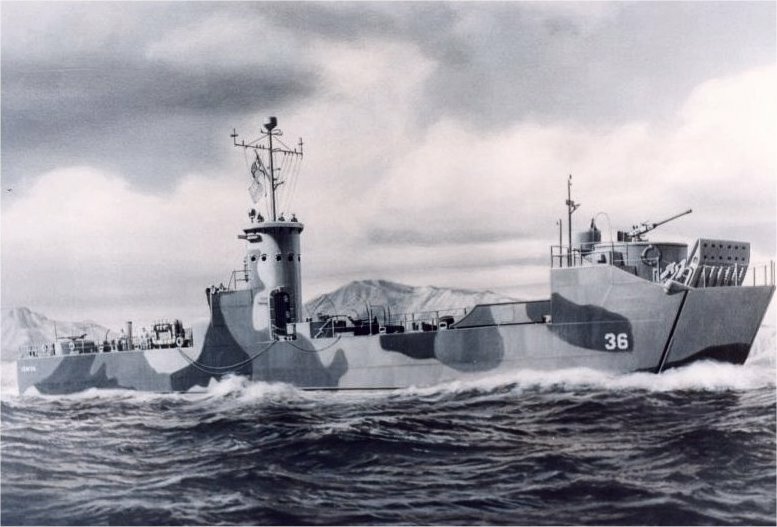 The history extract for LSM-36 is from LSM-LSMR Amphibious Forces, Vol. II. Paducah, Kentucky: Turner Publishing Company, © 1997. (ISBN 1-56311-389-9).